Each week we feature an app that has caught the attention of the Crozdesk community. We look for exciting features that make our lives easier, apps that take a radical approach to existing problems or a service that has everyone talking about it. In other words, apps that we think you should know about. This week, we’ve reviewed Vision Helpdesk, comprehensive customer support software designed to help businesses manage customer communications. 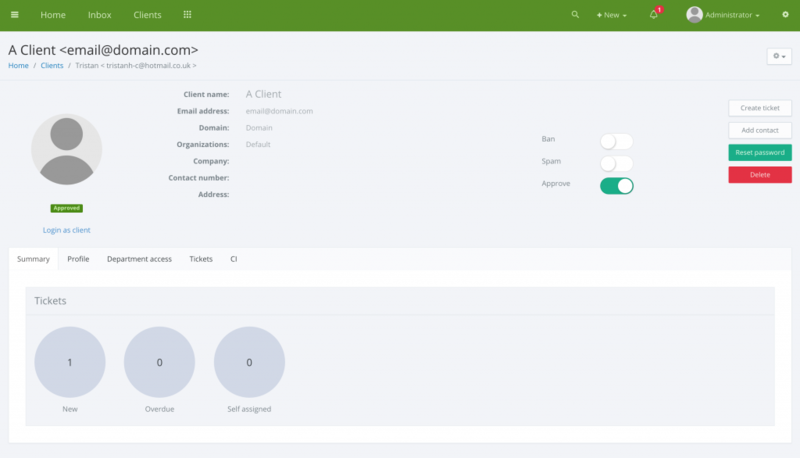 Vision Helpdesk is a simple-to-use, yet sophisticated service desk solution – it has been designed with a range of features to enable customer support agents to handle a large volume of customer questions and issues efficiently. 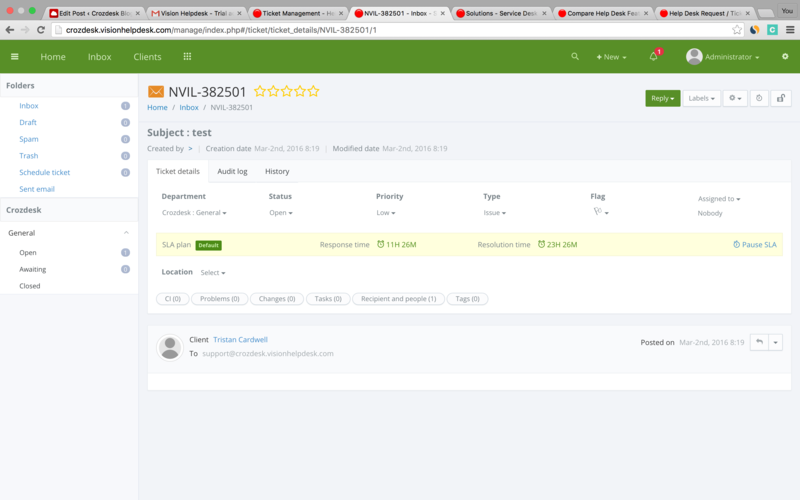 Using Vision Helpdesk, customers can raise a new ticket via email; Vision Helpdesk will automatically log this and create a new client record for that customer. Having raised a ticket, customers are sent a personalised login link to a client portal, which gives them access to knowledge base articles, FAQ’s and a list of the tickets they have raised. 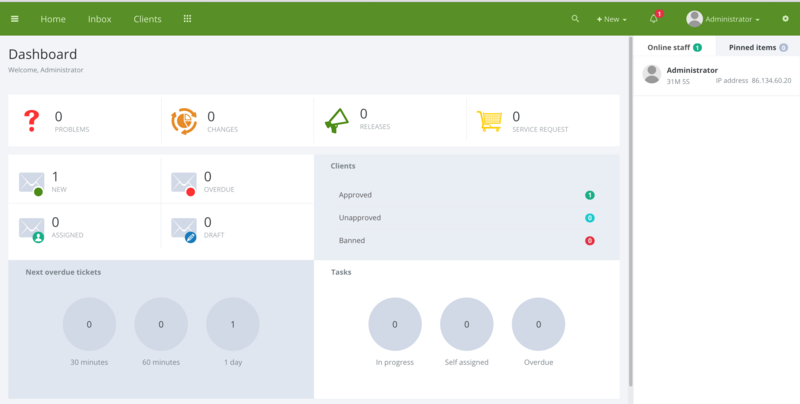 Vision Helpdesk’s main interface is designed to be used by customer service agents – the dashboard feature forms the centre of this interface. 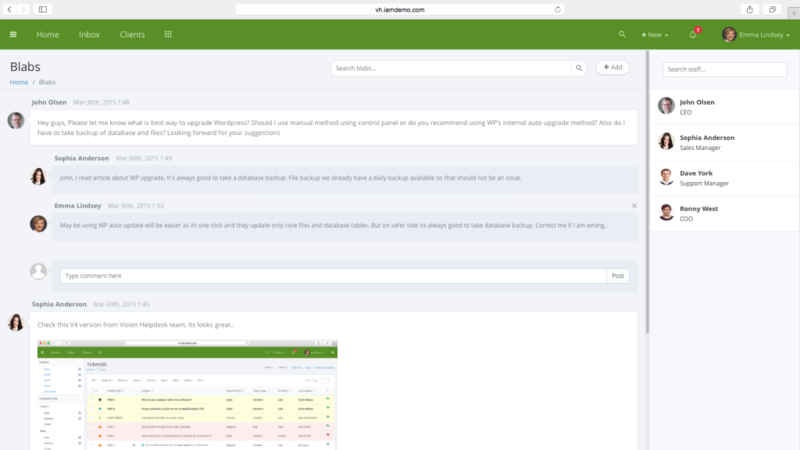 The dashboard displays an overview of new; assigned; overdue and draft tickets, as well as data relating to other metrics including changes, releases and service requests. An important feature when it comes to handling large volumes of customer tickets, filters can be used to quickly sort and segment tickets according to specified criteria. A list of current filters can be viewed by clicking the top left of the dashboard screen and new filters can be added via the Advanced Search option within the Vision Helpdesk Inbox. 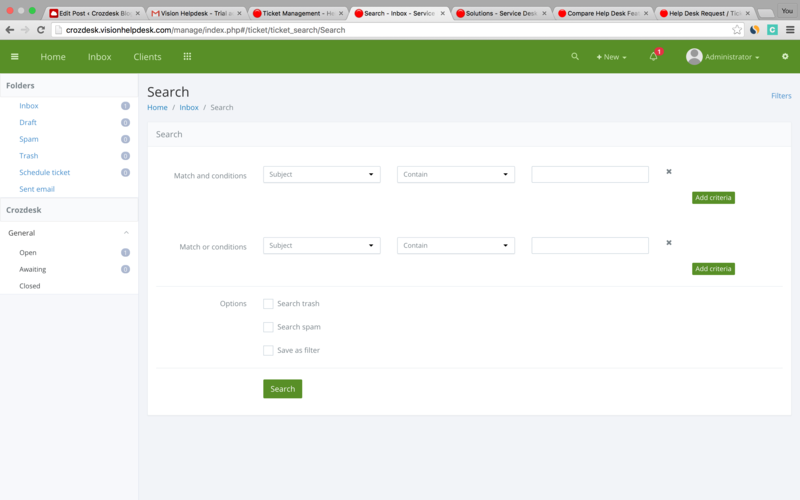 Having inputted specific search criteria, users can choose to save that particular search as a filter, allowing them to easily view records matching those conditions, without having to repeat the advanced search process. 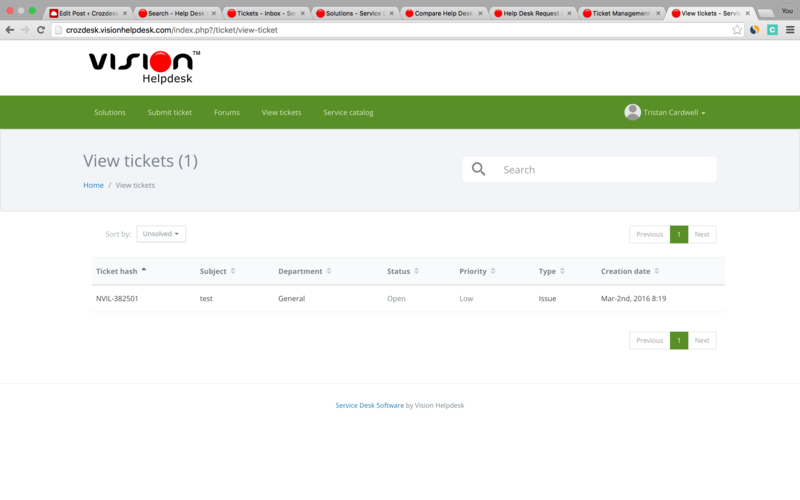 The inbox window within Vision Helpdesk is designed to manage incoming tickets. New tickets are displayed in a list and allocated a colour, depending on their status. Users can add labels; tags; notes and comments to tickets, to assist with the sorting process. Client information can also be added to tickets, where a particular ticket relates to a specific client. 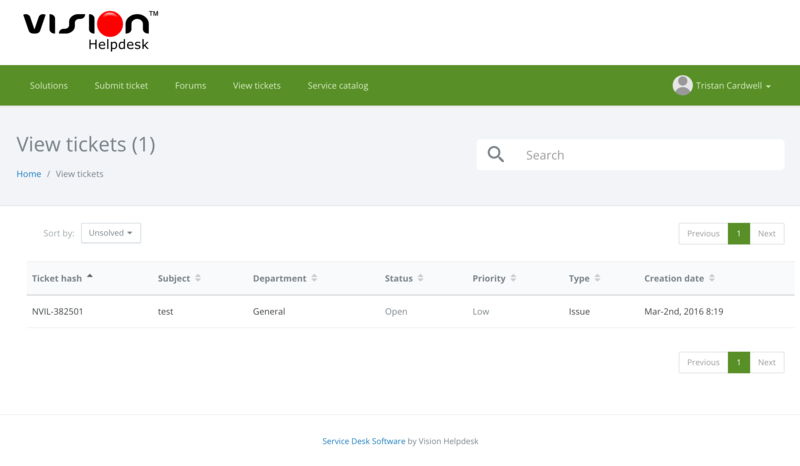 The clients section within Vision Helpdesk allows customer agents to track tickets allocated to a particular client. Client preferences, information and permission settings can also be managed using this function. A particularly useful feature of Vision Helpdesk is Blabby, a customer collaboration and chat function, accessible from within the Vision Helpdesk dashboard. Blabby allows team members to hold collective or private discussions; collaborate on issues; view trending topics and share files. 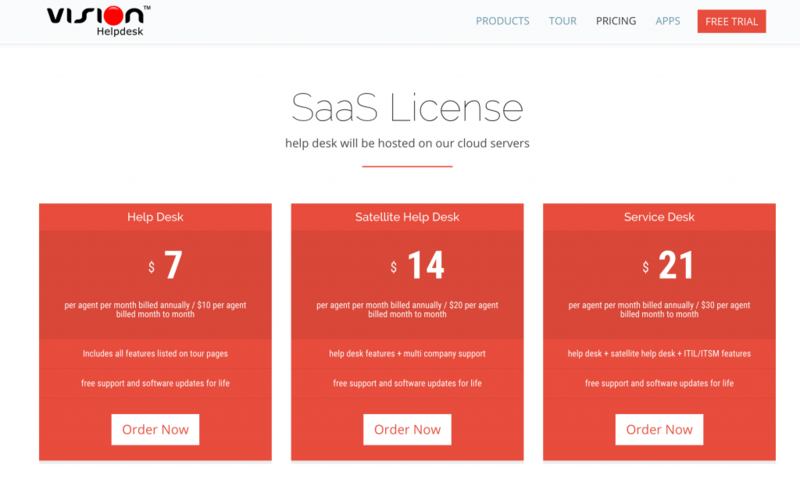 Vision Helpdesk offers a range of pricing plans, these include SaaS, desktop download and one-off purchase options. 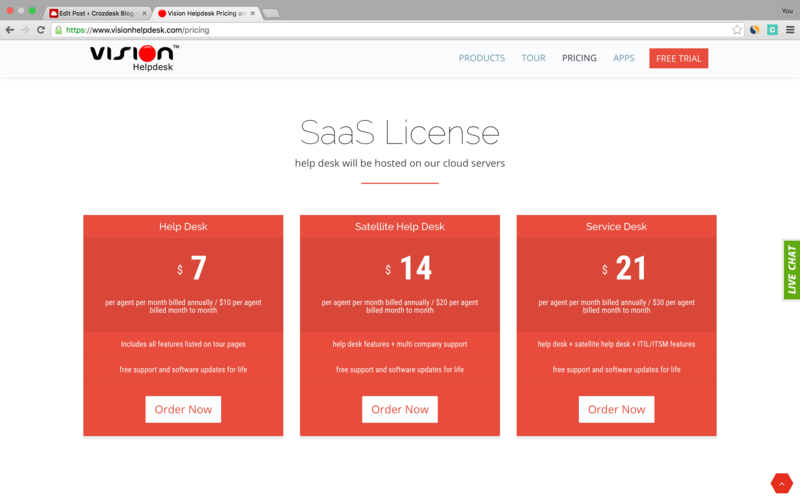 More information can be found on the Vision Helpdesk pricing page. 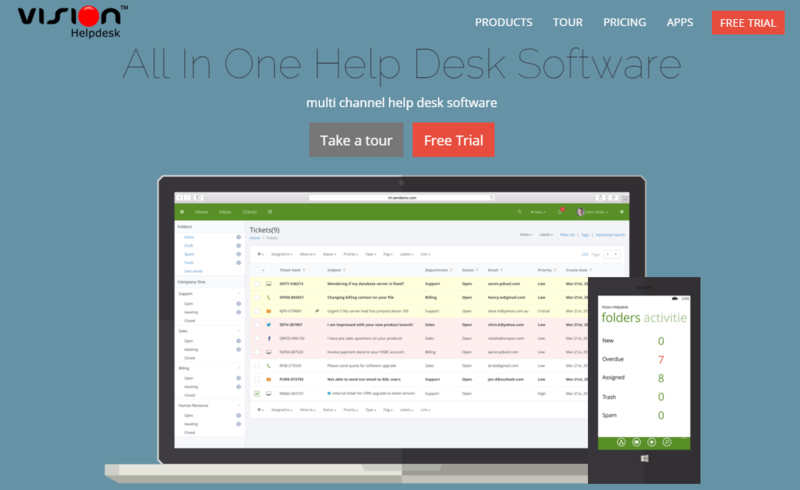 It is worth noting that the team behind customer support software Vision Helpdesk have created two other products: Satellite Helpdesk and an IT Service Desk solution. 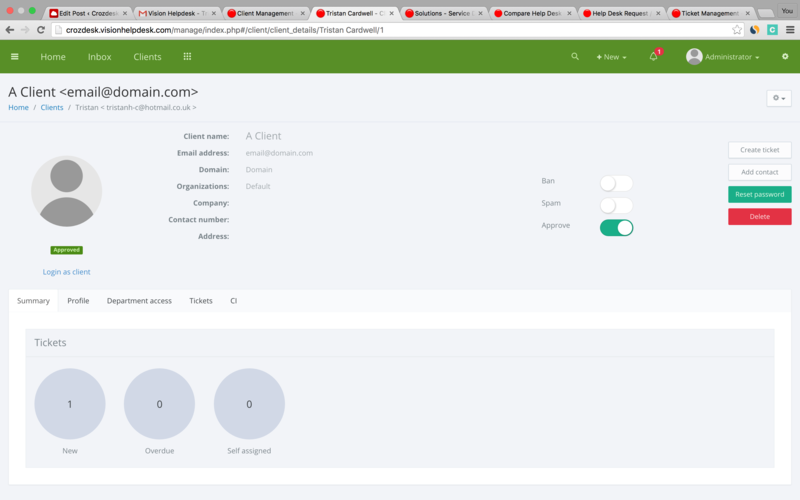 The Vision Satellite Helpdesk offers multi-company and multi-brand help desk functionality and includes features such as branded client portals; advanced user access preferences; client-specific knowledge portals; multi-server hosting functionality and specific client URLs. 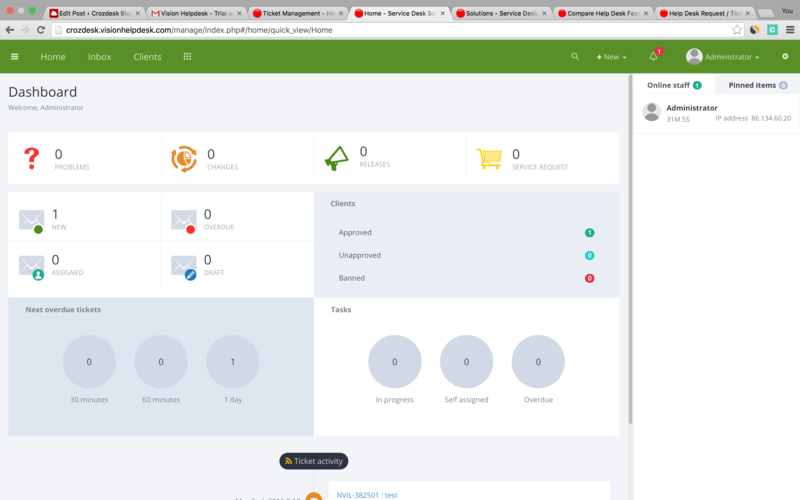 A separate product, Vision Service Desk, offers an IT service management (ITSM) solution, including modules covering Asset; Incident; Problem; Change and Release Management. Large volumes of customer questions or issues can quickly overwhelm a business, causing delays and confusion. Vision Helpdesk is designed to help businesses avoid such pitfalls through efficient customer ticket management. 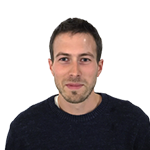 A range of useful features add value to the Vision Helpdesk product and demonstrate that the team behind Vision Helpdesk are dedicated to continually improving the solution for their users. Vision Helpdesk offers businesses a one-stop solution for processing large volumes of customer requests – it is a a highly capable and thoughtfully designed help desk solution. Find out more about Vision Helpdesk, visit the Crozdesk Vision Helpdesk profile page. This is an area of our business that we are constantly trying to evolve so we have been actively looking for different software available and have been carrying out trials to see how they would work with our company EROWZ. So this is definitely software that we will be exploring. Being able to have an easy to use and well functioning ticket based support system for our customers and clients is essential for their experience. We had a similar system in my old company but it was far less advanced and a lot more basic in its delivery but it did serve its purpose adequately. From what I’ve read about this software, its definitely a lot more intuitive and has a much more professional feel to it, which is what we are after. Thanks for the review. Kind Regards, Adam.